Trust. Honesty....It's kind of our motto. On time. On task. On top of it. No skimping. No slacking. No hassle. 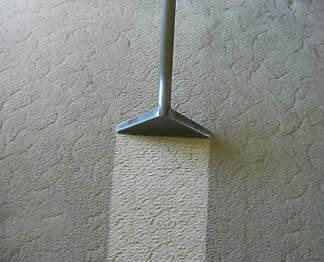 We're not just looking to clean your carpet. We want to become the only carpet cleaner you trust with your floors! When you hire St. George's Cleanest Carpets you can expect our professional technicians to show up on time, be respectful, courteous, and knowledgeable. Our equipment is the best in the business, and with the best equipment we can be precise, thorough, and speedy. Your carpets will be so clean, you'll swear we replaced it. Other companies might make you feel pressured to clean things you don't really need to clean. We promise to never rush you or push you into a spendy cleaning package. You're the boss, so we only do what you want. ﻿We realize you have literally dozens of options as you try to find the best carpet and tile cleaners in St. George, so why choose us? We could tell you that our dry times are faster, or that our employees are friendlier and more professional than the competition. We could inform you that our process is unbeatable and that we'll leave your carpet looking factory fresh. We could tell you all of that (and I guess we kind of just did) but why not call us at 435-265-3287 and let us prove to you why we are the very best source for the very best carpet cleaners in Southern Utah! "We have used these guys for regular cleaning and deep cleaning and we can say these guys are the absolute best! We recently used them for our move out inspection and every inch of our home was left sparkling. They are incredibly thorough and surpass my expectations every time. We will not use anyone else. Give them a call, this company is worth every penny!" Delicious Cupcakes...psych. Just wanted to see if you were still reading!